One of the richest and most rewarding, yet at the same time least familiar, traditions of Muslim literature is that of the Shi’i Imami Ismailis. Although many great literary treasures of the Islamic world are already available in English translation, those of the Ismailis are only slowly being made accessible to scholars and readers at large. This substantial Anthology makes a vital and welcome contribution to that process of wider dissemination. It brings together for the first time extracts from a range of significant Ismaili texts in both poetry and prose, here translated into English by some of the foremost scholars in the field.The texts included belong to a long span of Ismaili history, which extends from the Fatimid era to the beginning of the twentieth century. The translations in question have been rendered from their originals in Arabic, Persian and the different languages of Badakhshan and South Asia. 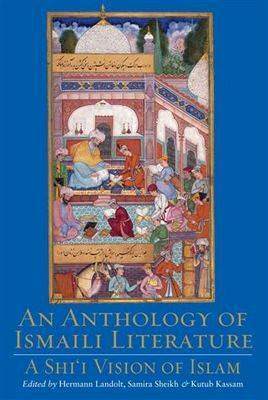 With substantial sections devoted to such broad topics as faith and thought, history and biography, ethics, the Imamate, Ta’wil (or esoteric exegesis and textual interpretation), the Anthology offers continuously enriching glimpses into the depths, diversity and distinctiveness of one of the great traditions of Islamic thought and creativity, which still remains relatively undiscovered by the West.